Historic Reisterstown embodies a quaint charm all its own. With access to I-695 and I-795, Reisterstown offers quiet living close to everyday conveniences, antique shopping, and outdoor fun. Moments away from Med Star Health, Camp Fretterd, and Stevenson University, our community streamlines your daily commute. The Baltimore Public School System offers a host of quality K-12 options close to home. Skate the mini half pipe at Hannah More Park or let the dog run with the neighbor pups at BARC Park. Stock up on staples at Giant or Weis Markets, and get your farm fresh veggies at Haymann Produce. Or take the night off to raise a glass at Bill Bateman’s Bistro or sample the delicacies at Sonny Lee’s Hunan Taste. There’s a tempting spot in the neighborhood for every appetite. 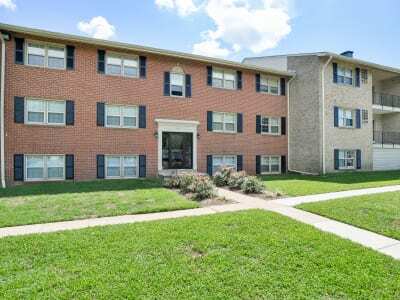 We’re sure you’ll find the ideal apartment or townhome at The Village of Chartleytowne Apartment & Townhomes, just minutes from Inner Harbor in downtown Reisterstown, MD. Visit us today.